Before Looking For Alaska comes to Hulu as a miniseries, it’s coming to BookCon for a special panel! The novel and its adaptation follow Miles “Pudge” Halter, a Florida teen who discovers himself in an Alabama boarding school among a close, eclectic group of new friends, including the whimsical object of his affection, Alaska Young. When tragedy strikes unexpectedly, Pudge’s whole life will be thrown into question as he and his friends try to cope with the impossible. 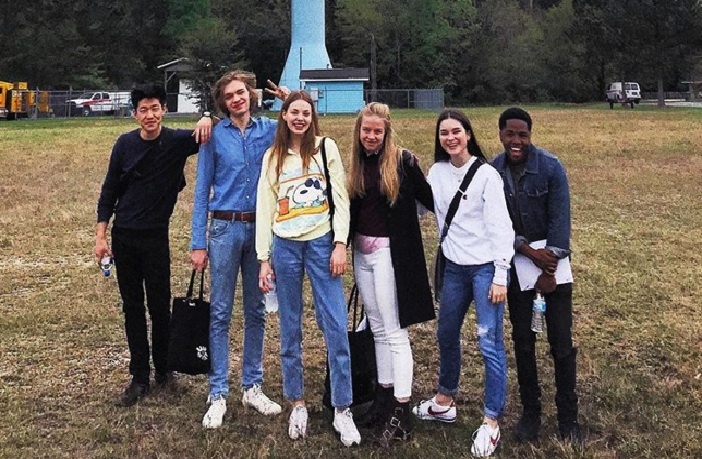 The miniseries star Charlie Plummer as Pudge and Kristine Froseth as Alaska. Author/producer John Green as well as showrunners Josh Schwartz and Stephanie Savage will be headed to the Main Stage for a panel on Saturday, June 1st at 5:00pm sponsored by Hulu. The press release notes that members of the cast will also be present, but it doesn’t specify whom among the large cast will be there. Hulu is also holding a panel for Season 3 of The Handmaid’s Tale that will take place on June 1st at 10:45am. BookCon is an annual celebration of books in New York City that will include bestselling authors, book community creatives, celebrities, publishers, and more. It takes place on June 1st and 2nd this year, immediately following BookExpo America on May 30th and 31st at the Javits Center. Grab your tickets here but hurry– The mailing deadline is thus Sunday, April 14th!